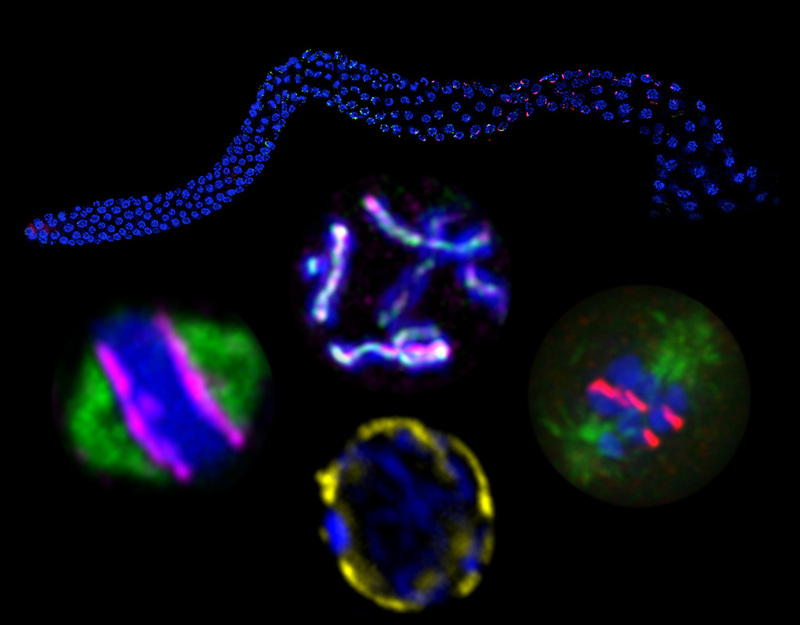 Welcome to the research page of the laboratory of JoAnne Engebrecht in the Department of Molecular and Cellular Biology, College of Biological Sciences, at UC Davis. We are investigating molecular mechanisms underlying germline biology. Germ cells are essential for the propagation of all sexually reproducing organisms. Germline stem cell divisions, meiotic differentiation and gametogenesis must be tightly coupled to ensure the formation of viable progeny; perturbations result in infertility, inviability and birth defects.